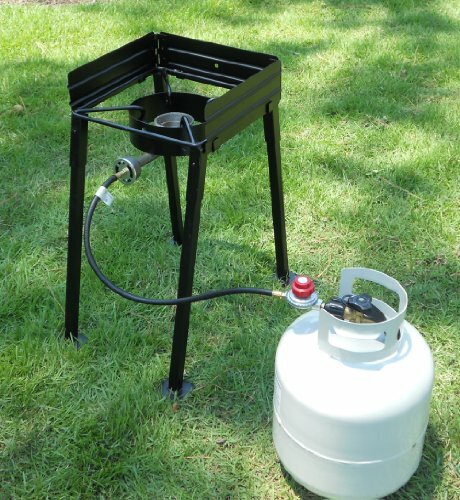 You’ve only been camping for one weekend, but already your campsite looks like an industrial-waste disaster. 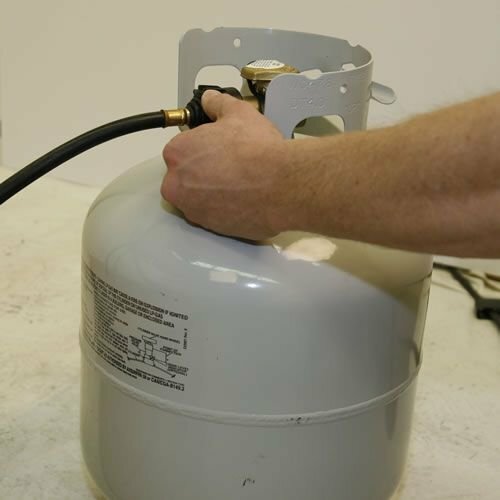 Empty fuel bottles are piled around your cooking area. 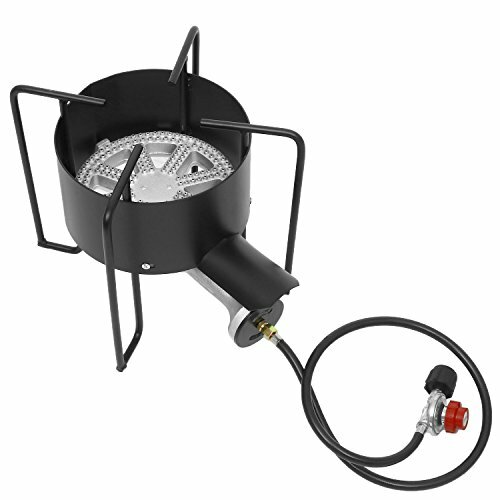 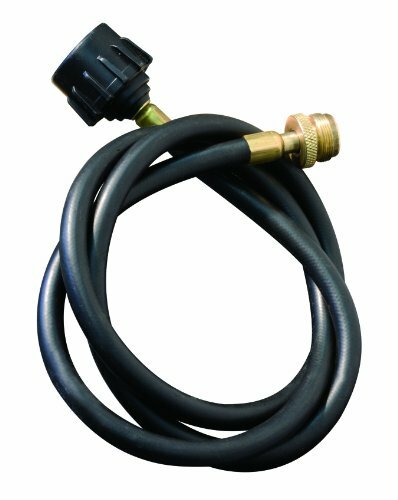 The Camp Chef Bulk Tank Hose Adapter is a five foot hose and hooks your stove directly to a bulk tank so you can cook from one large, refillable source rather than burning through several small, disposable bottles. 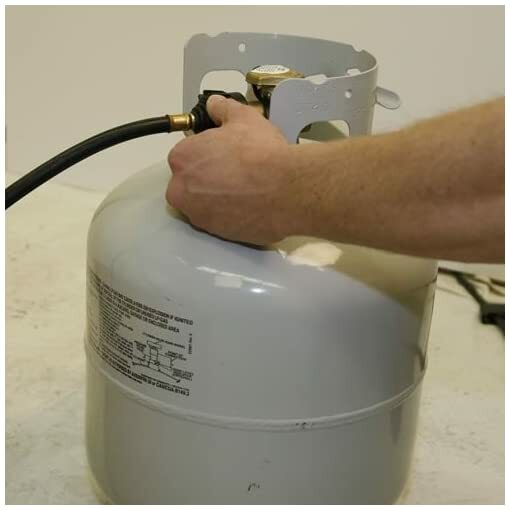 Need more propane than a one pound tank? 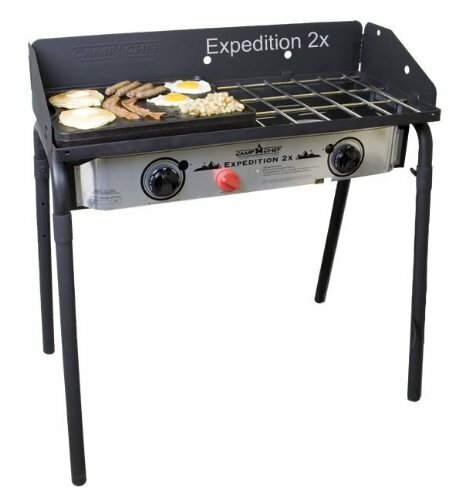 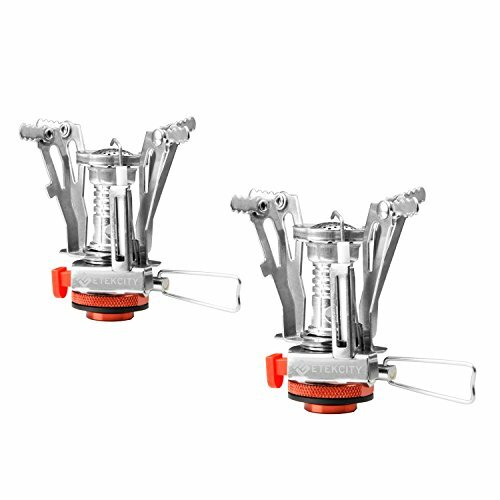 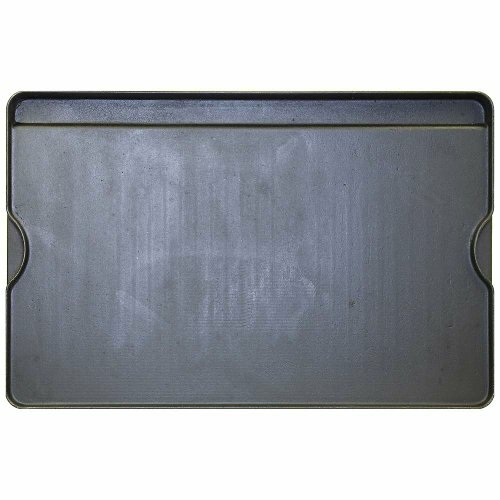 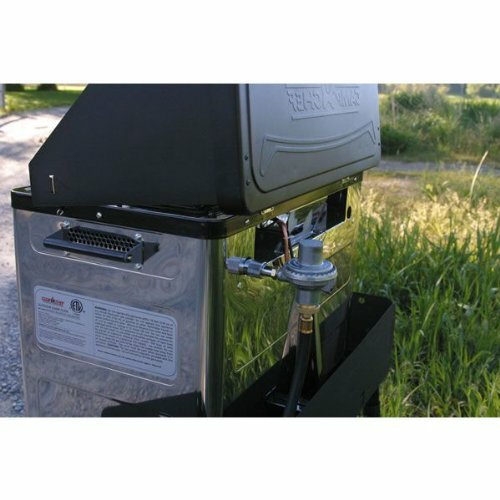 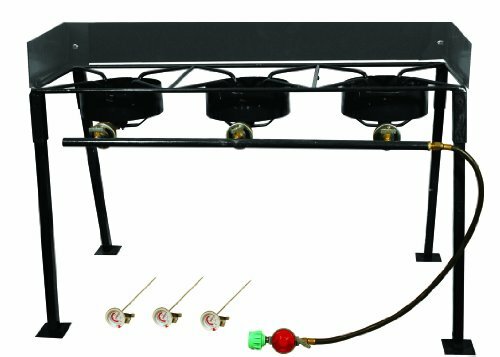 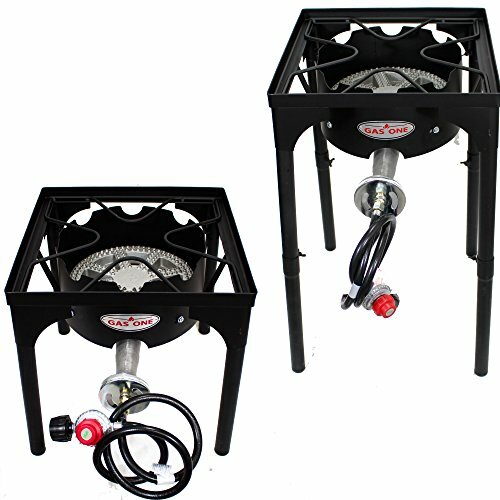 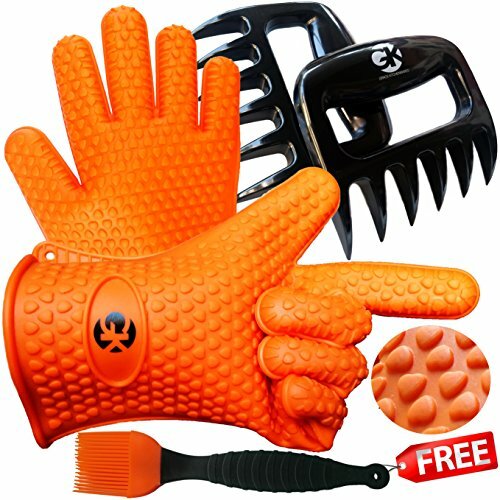 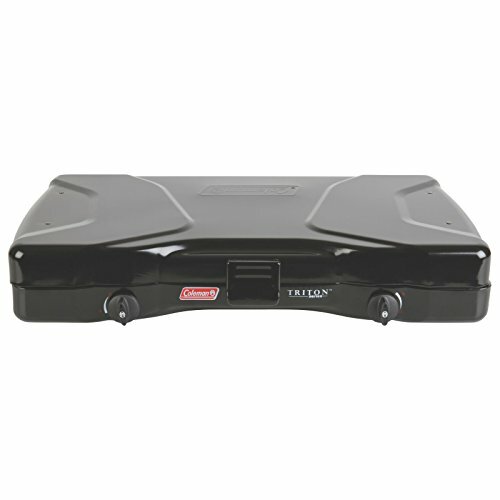 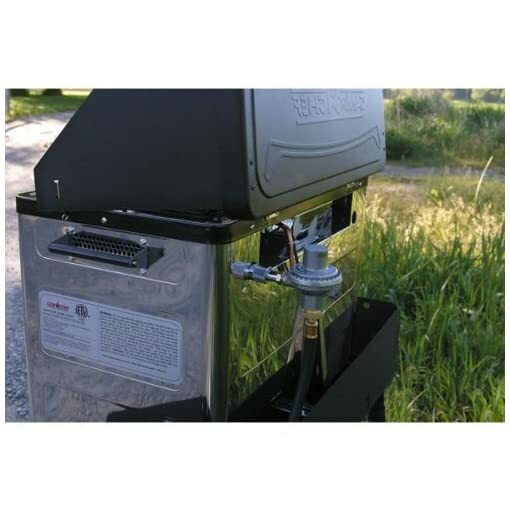 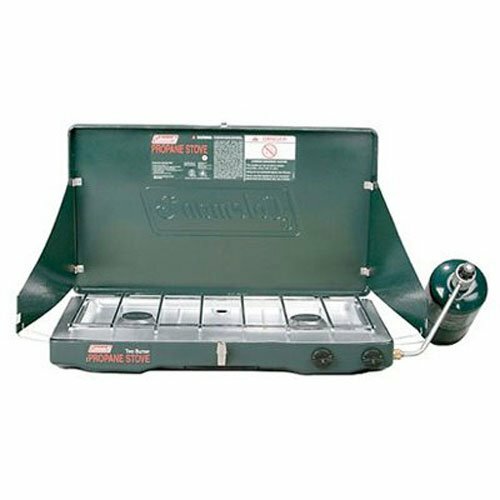 Perfect for attaching your Outdoor Camp Oven, MVP Sport Grill or any disposable bottle appliance to a bulk propane tank.